Thousands of years before modern medication such as ibuprofen, hydrocodone, and codeine became the physicians “go-to,” traditional medicinal plants were being used around the world to alleviate several conditions. Of course, advances in modern medicine are astonishing and have improved lifespan and quality of life in leaps and bounds over the past 50 years. However, there is something to be said for the tried and true plants that have withstood the test of time. These potent medicinal plants can act as effective complements for many chemically derived drugs. And here’s the science to prove it. Important note: Keep in mind that medicinal plants can still have side effects. If you have a preexisting condition or are on prescription medication, it is essential to talk to your doctor before adding any herbal, plant-based remedies to your care regimen. Natural supplements should be taken with care. Children and pregnant and breastfeeding women should not take medicinal plants as the effects of certain supplements are still being assessed in regards to those with vulnerable health. Ginger is probably one of those most widely-used plants for medicinal purposes. It has a wealth of scientific research backing it and has been proven time and time again to be an incredible root for many ailments. This plant is an incredible source of antioxidants such as gingerols, zingerones, shogaols. And that’s just the top of the iceberg. It has antiviral, antioxidant, and anti-parasitic properties, making it an excellent remedy to keep on hand at all times. Because it is an anti-inflammatory agent, ginger has been extensively studied for its pain relieving properties. In one study, it was even shown to be more effective than ibuprofen in reducing menstrual symptoms in women. The pain relief isn’t limited to muscle and joint ailments, either. 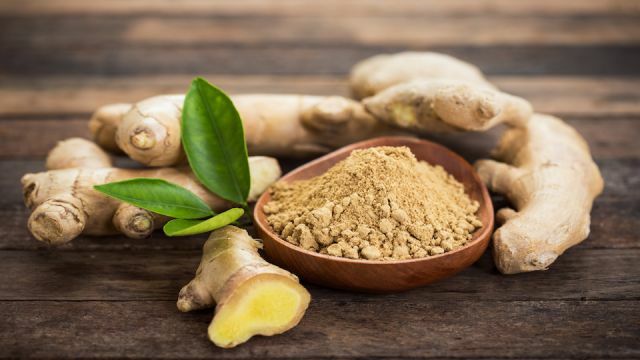 If you suffer from migraines, ginger root could be a potent source of relief, and it has even been shown to be as effective as the popular migraine medication, Sumatriptan. Most famous of all its benefits, however, is gingers ability to virtually eliminate nausea and digestive disturbances in even the most extreme circumstances. It has been proven effective for pregnant women suffering from morning sickness (be sure to consult your doctor before using this natural remedy during pregnancy), nausea and vomiting following chemotherapy treatments in cancer patients, and motion sickness along with stomach upset from other causes. Fresh ginger root can be stored in the freezer to keep it from going bad. Steep a few inches of ginger root in hot water for a soothing tea. Add honey if desired. You can also take ginger in capsule form or simply add to your food such as stir-fry and smoothies. Lavender oil not only smells amazing; it also has many potential health benefits that you may not even know about. This calming herb can bring peace and relaxation on even the most stressful day. It has anti-inflammatory, antifungal, antidepressant, antiseptic, antibacterial and antimicrobial properties. Plus, it has been shown to help alleviate anxiety, depression, and insomnia in many instances due to its sedative nature. Because of its antifungal and antibacterial properties, lavender oil is a powerful tool for eliminating skin ailments such as acne, eczema, and psoriasis and could even speed up the healing process for wounds and burns. Because lavender oil works to open the lungs, it is beneficial in relieving upper respiratory problems like coughs, asthma, sinus congestion, bronchitis, and laryngitis. When applied to the neck, chest, or back in a balm form, or inhaled through various methods of aromatherapy, it can soothe irritated lungs and act as a sleep aid. Lavender oil can be applied topically when mixed with a carrier oil or used in an air diffuser or vaporizer. This smelly bulb has immune boosting, antibacterial, antifungal, and anti-viral capabilities. These are mainly due to its sulfur-containing compounds which give garlic its rather potent scent. One of these compounds, allicin, works to produce sulfonic acid. This extraordinary compound is the single most effective means of reducing free radicals in the body. Making garlic an excellent anti-aging food. Garlic may have a beneficial impact on the cardiovascular system, and circulation, encouraging blood flow and helping to reduce high blood pressure. Though capsules may be easier to stomach, it is important to consume garlic fresh. Try to eat about a clove or two each day and crush it with a spoon before swallowing it or adding it to vegetable juice. Hey Buddy!, I found this information for you: "The Most Potent Medicinal Plants and What They Are Capable Of". Here is the website link: https://www.thealternativedaily.com/potent-medicinal-plants-what-they-capable-of/. Thank you.